Welcome to the Scranton Stamp Club! Welcome to the site of the Northeast Pennsylvania Philatelic Society, also known as the Scranton Stamp Club. 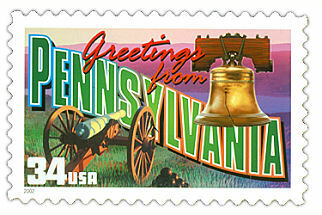 We are located in the Scranton-Wilkes-Barre area and an affiliate of the American Philatelic Society. We have members that specialize in a wide variety of country and topical collections who belong to numerous national and international societies as well. We also sponsor a youth stamp collecting club, Everything's Stamps. Please have look around, tour our site and see all the wonderful things we do and places we go. You may visit one of our numerous web pages going over our history, our upcoming events, our meetings, and numerous other items. You will see that we are a group of collectors that really enjoy sharing our hobby. Please sign our guest book on your way out and feel free to ask any questions and come back again. Please see our upcoming events page, you will tell that we keep very active. Interested in having a presntation on stamp collecting done? Please visit the Everything's Stamps Club page or tab. Thank you.